While watching some football last week with Taylor and Megan, who were over for a late Thanksgiving (they had Thanksgiving with her family too), an Amazon Echo commercial triggered both a father-to-son conversation about growing up and Music Monday memory. 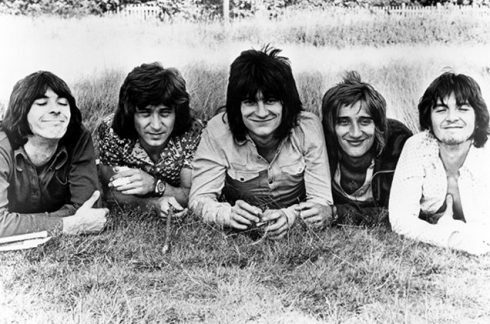 The song Ooh La La recorded back in 1973 by the English band Faces, was a bit before I was really paying very much attention to music, but was popular enough to have been performed by several of the band members for years and years. The father/son conversation part came from the lyrics, “I wish that I knew what I know now,” and went two ways. First, we ALL likely have learned from our life experiences and have thought how we could have improved our choices and decisions … in relationships and life in general. Second, and a bit more optimistic advice, was that the lack of fear and life-long experience offers the boldness to take on opportunity without as much fear of the risk. I have often mused that “not knowing” much about the pitfalls of starting a business gave me a degree of blindness and confidence necessary to take each step. Only later in life do we recognize all the unbillable labor of dealing with bureaucracy and the liability if I were to make a mistake — knowing this now, I’m not sure I would have taken the risk. Not knowing all the details made the decision far easier. Anyway, Ooh La La is a memorable song!